Besides the Main Event, the £550 Finale also played out on the last day of the @partpokerLIVE MILLIONS UK. 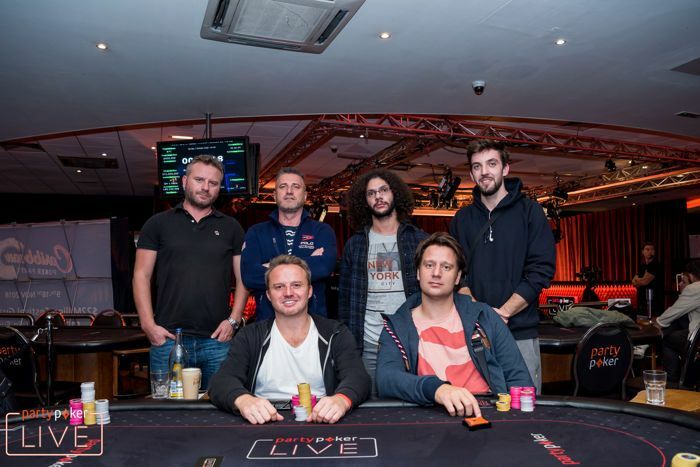 Konstantinos Nanos has been crowned the winner of the partypoker LIVE MILLIONS UK Finale after he came through the 871 entrants field to claim £84,014 and the trophy. It marks the crowning of two Greek champions after his compatriot and friend Ioannis Angelou-Konstas won the partypoker LIVE MILLIONS UK Main Event title. After six starting flights took place over the course of the last four days, 123 players returned for Day 3 with players looking to turn just £550 into a big payday. Eventual winner Nanos was involved in action from the off when he eliminated both Fredrik Bergmann and Tamer Kamel in separate hands on the money bubble to become the chip leader. Nanos then lost a significant portion of his stack but regained the momentum to climb up the chip counts as the field reduced to the final three tables. When the official final table of seven was set, Garinder Purewal was the first player to depart after he called off a river all in from Mauricio Pais on a jack-five-nine-five-ace board. Purewal held a jack for two pair but Pais tabled five-four for trips, and Purewal exited. Catalin Dumitrascu, who eliminated two players with pocket jacks when just two tables remained, exited in 6th place for £13,500 when his ace-ten was unable to find any connection on the board and Pim de Goede's pocket eights held. There was then a series of double ups before short stack Richard Marr saw Nanos reluctantly call the four big blind shove while in the big blind. Marr admitted he only looked at one of his cards, which was an ace, and he was surprised to see another ace when he flipped over his second card. Nanos only held eight-four offsuit, but Marr was even more shocked to see Nanos hit a straight on the river after the board fell queen-nine-three-jack-ten, and Marr departed in fifth place for £20,000. Not long after, it was James Golder who experienced the same feeling when he got his short stack into the middle with pocket aces having called a small blind shove from De Goede who held nine-six offsuit. The board once again went against the pocket aces; De Goede hit a straight on the river to eliminate Golder in fourth place for £28,500. Pais was the short stack of the final three, and although he found an early double up, he then fell away from his two opponents and ultimately departed when his pocket sixes were unable to survive against the king-jack of Nanos after they two players got all their chips into the middle preflop from the blinds. 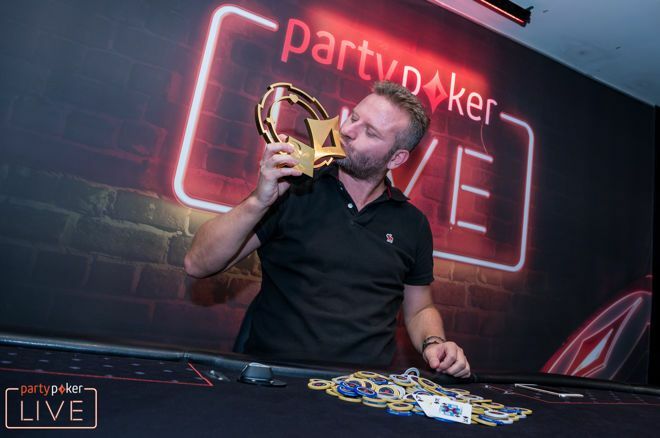 After the money-deal was agreed between De Goede and Nanos, there was £15,000 left to play for as well as the partypoker LIVE MILLIONS trophy. 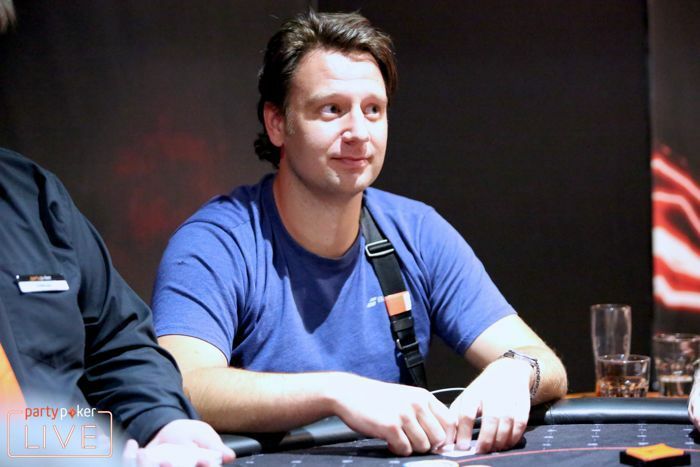 Nanos won a big pot when he hit a straight on the river and held a five-to-one chip lead over De Goede. Nanos then limp-called a shove from De Goede with ace-king suited and was ahead of king-three. Nanos held to claim the extra prize money and the title.